In 2007, I had the incredible opportunity to fly Professor Stephen Hawking, the world's expert in gravity, into zero gravity aboard a specially-modified Boeing 727-200 aircraft called G-FORCE ONE. What made that flight extremely special was that Hawking's illness, a disease called ALS, had rendered him immobile and wheelchair-bound for more than 40 years. This blog is about that incredible story and the lessons learned in doing something hard and potentially dangerous. This blog is also an invitation for you to join me on a friends and family flight into zero gravity this August in Los Angeles. More info here. Finally I decided to take things into my own hands. Surely if I wanted to go so badly, others would want to do the same. Maybe there was a business to be created? 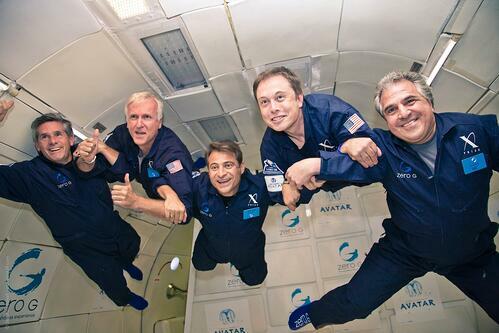 So, in 1993, I partnered with two friends (Byron Lichtenberg and Ray Cronise) to start a commercial company (Zero Gravity Corporation or Zero-G) to offer this same experience to anyone who had the desire to go. Over the next decade (1994 – 2004) we negotiated with an army of FAA bureaucrats who insisted that large-scale commercial zero g operations were not possible under existing FAA regulations… despite the fact that NASA had been operating parabolic flights for 40+ years. FAA bureaucrats kept demanding that I show them where in the regulations it stated that a passenger aircraft could be allowed to fly parabolic arcs. I had only one answer: "Show me where it says I can't?" Quite simply, none of these mid-level FAA civil servants had the power to say yes. Finally, a decade later, my request made it all the way up to the FAA administrator, Marion Blakey, an amazing woman who had the right answer: "Of course you should be able to do this—let's figure out how." Finally, in September 2004, we began commercial "Part-121" operations, doing our first flights for the filming of Richard Branson's TV show "Rebel Billionaire." Since then we have flown over 15,000 people into weightless, ages 9 to 93. Back in 2007, I met Professor Hawking during conversations regarding the XPRIZE. I learned in that first conversation about his interest in flying into space. He asked if I could get him on a sub-orbital flight. I told him that I could not at the moment, but offered him instead a flight aboard G-FORCE ONE to experience parabolic flight. I also offered to make that flight a fundraising event in support of ALS research. The next day I received a phone call from the FAA telling us that we were not allowed to fly Professor Hawking under our existing operating agreement that required we "." And according to the FAA, Hawking, being totally paralyzed and wheelchair bound, did not qualify. After all, I had fought for 10 years to get permission to fly 'the public' into weightlessness. Flying people like Hawking was why I founded Zero-G.
After the immediate frustration, I had the presence of mind to ask a key question of the FAA: ""
Next, I purchased a malpractice insurance policy for a few key physicians, and obtained from them three signed letters of support submitted to the FAA stating, "without question, that Hawking was able bodied for a zero g flight." 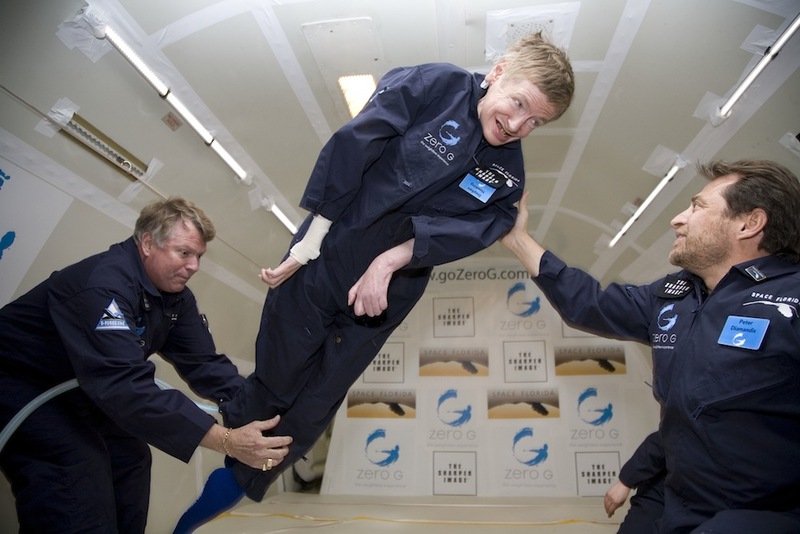 On the heels of this successful flight with Hawking showing a disabled individual could safely fly in Zero G, I was very proud that we next had the amazing opportunity to fly six wheelchair-bound teenagers into zero gravity. With a mix of creativity, grit, and passion, you can accomplish almost anything you want. Fly with Me in Zero-G? On August 13, 2016**, I'm hosting a 'private friends & family' ZERO-G flight for a small group out of Los Angeles onboard our specially modified Boeing 727-200 aircraft "G-FORCE ONE". During the flight we'll experience 15 parabolic maneuvers – providing 25 to 30 seconds of pure weightlessness per arc. As of this writing, we have 8 seats left onboard. First come, first serve. I will personally provide 2 hours of training to the group in advance, including a fun overview about space commercialization. Everyone gets flight-suits (you get to keep) + photos + video of your flight. **NOTE: If this date (August 13) doesn't work, we are considering a second flight out of LA on October 2. If you'd prefer this, please insert your name and email here: https://www.surveymonkey.com/r/5HP8QKT and we'll follow up.